Stay curious. This is my message for my current class, “Building A Psychoanalytic Practice”. To stay curious, I say, is to wonder how what you, the therapist says, impacts the patient, and how what the patient says impacts you. “Find your voice of curiosity” I say, encouraging them to see psychotherapy/psychoanalysis as an art, in which each moment is unique, and each reaction to each moment is also unique. This moment by moment analysis of the session is the complexity of psychotherapeutic work. The therapist is challenged to think on multiple levels at the same time, and in so doing, there are many options about what to say and when to say it. Finding your voice means making informed choices about what to say, when to say it, and how to say it. With professional growth comes a shared interest, between the therapist and the patient about being curious, and how that curiosity can lead to compassion and understanding of deep suffering. With that curiosity comes a passion and with that passion, a practice is built, most often slowly, and with that slowness, nerves of steel help tremendously. There is both anxiety and shame in building a practice which makes staying curious quite challenging. No one wants to admit that they are skill-building, while at the same time, taking on the responsibility of a patient’s mental health. And yet, that is how we grow. We build skills the hard way, by watching people suffer, and at times, inadvertently adding to their suffering, and then we try to walk it back, and grow again. Again, it helps to be curious both about how we help people and also about how we don’t. 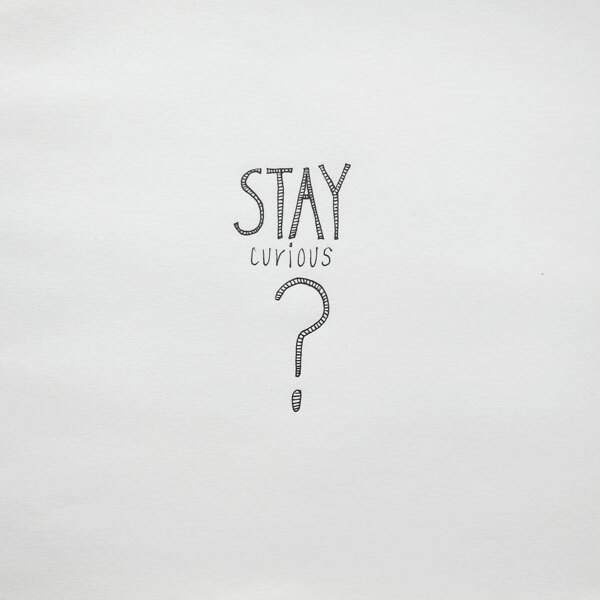 Being curious means not having answers, but generating more questions? Why did that patient not come back to psychotherapy? What do you think happened? Those are the questions we need to ask, along with the opposite question of why did the patient come back and why do they keep coming back? Being curious makes it fun, but at the same time, allowing one’s mind to open to multiple answers, can be unpleasant and painful. That is why both therapist and patient often resist curiosity and that is why my class presents to me a welcome challenge. The chemical imbalance theory is out. 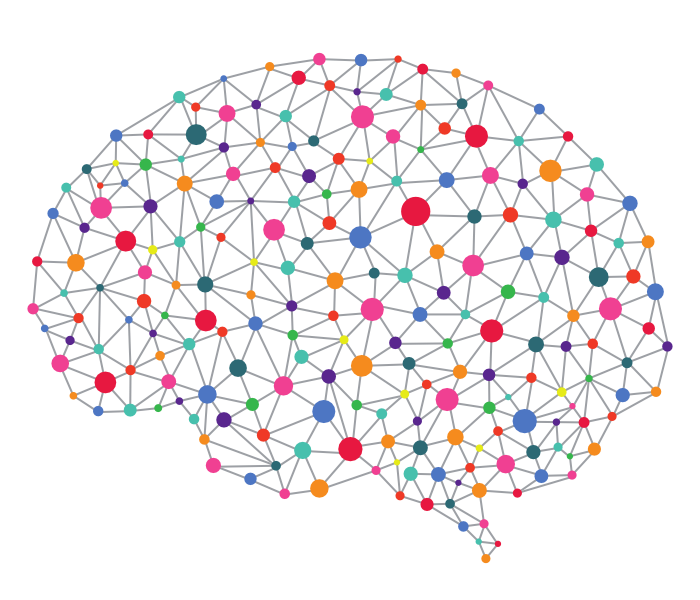 Neural networks are in. That is what I learned yesterday. With the introduction of Transcranial Magnetic Stimulation (TMS), a neuromodulation therapy for major depression and post-traumatic stress disorder, there is now the theory that mood disorders, and anxiety disorders are a result of a neural network failure and as such, therapies which jolt neural networks help patients feel better. Further, by examining EEGs and looking at brain electrical activity, clinicians might be able to predict who can benefit from TMS therapy. As I understand from Noah Phillips MD, a professor at the VA affiliated with Brown University, we, as psychiatrists, are exploring the notion that patients get better by changing the electrical activity in the brain, a re-boot, so to speak. At the same time, TMS, although FDA approved (it should be now called Food, Drug, and Device Administration), TMS is costly, time-consuming and not paid for by insurance. It is done at tertiary medical centers and in private practice. As with the use of psychopharmacology, I am of two-minds about this technology. On the one hand I am excited about the new way we understand mood and anxiety, and the expansion beyond neuro-chemicals into neural networks makes a lot of sense to me. The brain is a complicated machine, and like a machine, things can go wrong, and re-setting it is very exciting. On the other hand, this technology supports the loss of a narrative. Patient is sick. Patient gets fixed. Next Patient. The medical model of human suffering dominates the clinical picture, and the individuality of the patient is lost to the physician, leaving the narrative to “lower-level” professionals. Clearly both can operate in harmony. Doctors could administer TMS and do psychotherapy, except that the model of care does not support combining these modalities using the physician as the deep listener. I am grateful to be so close to UCLA so that I can be exposed to the latest and greatest in psychiatric health-care. At the same time, I will always have a sadness when I go to lectures, that there is such little interest in the human component of mental health care. To put it another way, as psychiatry focuses on the brain, it has lost its mind. Wednesday begins my fall teaching activity which is entitled “Building A Psychoanalytic Practice”. In this class/seminar we talk about what goes into a private practice. In medicine, private practice is all but extinct. The vast majority of physicians work for big employers such as UCLA, Kaiser, Cedars-Sinai and USC. Electronic medical records has made it such that payment is based on clicks, and so the emphasis is on checking off boxes, meaning there is little room for a narrative, at least with a physician. The narrative, if it happens at all, is delegated to what they call “lower-level licensed professionals” such as nurse practitioners and physician assistants. The distinction between those two “lower-level” professionals is not clear to me, but I digress. What is clear to me is that the story the patient wants to tell, putting symptoms in context, is falling to people with less training and that deeply concerns me. I digress further. In my lonely world of being a private practice physician/psychiatrist/psychoanalyst, there are few comrades, particularly few younger comrades. So I teach to foster a community of professionals who want to struggle with that narrative, who want to hear patient’s stories and understand symptoms in context. Without context there is an over-prescribing of medications, resulting in the patient having a deep sense of pathology with regards to their behavior, as opposed to understanding that self-destructive, or avoidant behaviors may have a historical context. Understanding can lead to compassion and empathy and in so doing psychopharmacology can be less relevant. To be clear, I do not advocate an either/or, psychotherapy or psychopharmacology, as both can be used in harmony, but I do think that psychopharmacology without psychotherapy takes away from the attempt to understand the human suffering, and in so doing, denies the complexity of the mind. My class will focus on deep listening, and how deep listening requires time, both time to learn how to listen, and time spent actually listening. In other words, the training required to build a practice is intensive, and in parallel, the work we are asking from our patients is also intense. The upshot of the class is the more time you have with patients, the deeper your work can be, and so when we market our practice, we market our time. We do not advertise quick fixes, or a limited number of sessions. In contrast to insurance-based work, where a limited number of sessions are given, we promote the opposite idea, that the work is open-ended, and it is done when it makes sense to be done, not when an external entity says it should be done. This is a very unpopular notion. It is why I began this post with my loneliness. Patients and insurance companies want to hear that there is an end in sight. I say we can’t promise that, and that honesty is what we are selling. Such controversial ideas, when stated out loud, in the past, has created a polarized class. Some students feel relief to have these ideas verbalized, while others feel despair, that they will not build a practice if they can’t propose a time-frame. I am a provocative teacher, or so I have discovered. Wish me luck.